18th May 2015 | filed under Aesthetic Treatments. Here at the Aesthetic Skin Clinic, we offer a huge range of treatments that are designed to help you to feel happy and comfortable in the skin you’re in. One of the many treatments we offer is Sclerotherapy in Northern Ireland. In this blog, we’ll take a look at everything you need to know about this treatment and whether it’s right for you. Sclerotherapy is a treatment that is used to treat thread or spider veins. Spider veins can be caused by a huge number of factors such as having a job that involves a lot of standing, obesity, hormones and genetics. There may be ways in which you can try to prevent them, but once they appear, they can be difficult to get rid of. Our procedure involves using a small needle to inject a concentrated saline solution into the veins. This causes them to empty of blood and irritates the lining of the veins which causes them to swell and stick together. The veins will disappear all together within 6-12 weeks. Don’t worry, the procedure may sound unpleasant but you shouldn’t experience much pain at all. You’ll feel sharp nicks as the needle enters your skin, but there shouldn’t be any pain with the injection of the solution, although you may get a mild burning sensation. Sclerotherapy is a relatively quick treatment, so you can carry on with your day once it’s finished. There are certain things that are advised before going in for treatment. You should avoid some medications such as ibuprofen and aspirin as these can thin the blood. You should also avoid applying creams and lotions to the area that will be treated directly before the procedure. There can be some side effects, but they are usually mild and will only last a few weeks. You may experience some swelling and itchiness for a couple of days after treatment. It’s also possible that you may notice some discolouration or brown lines and patches. These should fade within a few months, but in some cases may require further treatment. There shouldn’t be any reason for you to not be able to go about your daily business as usual after the procedure. Walking is encouraged, but it’s best to avoid strenuous exercise for a few days to allow your body time to recover. You should wear compression stockings after treatment, and you should avoid hot baths and saunas. Sclerotherapy has many benefits and can greatly improve the lives of those who suffer from spider veins. It’s a quick and simple procedure so you won’t have to take any time away from work. 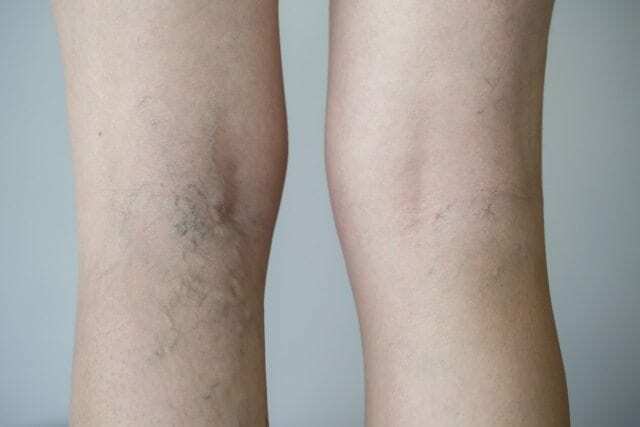 Many people find that spider veins can have a huge effect on their confidence, so this procedure can help to improve anxiety issues, self confidence and overall happiness. Here at the Aesthetic Skin Clinic, we offer a huge range of treatments that can greatly improve the way you feel about yourself. All of our doctors have a great deal of experience and will be able to provide you with a completely professional service. If you would like to find out more about any of our services, please don’t hesitate to get in touch with us today by calling us on 02890 661796 to speak to a member of our friendly team.